About Meet Lorna Are We A Good Fit? See the latest portraits, weddings, and updates from Lorna Stell Photo. Friends, I have something more personal to share today than the most recent photo work I've been doing. It's about my hair and my intense fear of change. I'll explain. I have this thing I do every year that salons probably hate. When the summer starts to become sweltering hot, I cut most of my hair off. I let it grow out through the rest of the year, and then I do the same thing again next summer. This pattern started out of financial necessity and the desire for efficiency. I've done this for at least 6 years now. Although it probably isn't "financially necessary" anymore, I continue to do it and kind of enjoy knowing that throughout the year, I'll get the chance to have both super short and long hair. The first time I did a cut like this, I was in college. When I was younger, my hair was even curlier, so cutting it as short as what you see here was not an easy option. This meant that my hair was very long for a very long time, and you bet I got a lot of comments my whole life about how "lots of people pay lots of money to get hair that looks like yours." When I reached the point when I knew I needed a change to express who I really am (not your typical southern "lady," thankyouverymuch), the super short cut was a perfect outlet. I hated blending in too much (still true), and disliked looking too conventionally feminine (to this day I refuse to wear pink unless it's a dash of super bright obnoxious hot pink). So I opted for a super short and edgy pixie. Perfect! This last round was different. I have gone through SO many life changes between my last short cut and this one, and I ended up waiting longer than usual. The last haircut before this one, I had just been dating this guy for a few months. I still wanted to get my edgy, statement-making pixie cut, so I did, sometime around June. Some months later, two of my very good friends got married, so I got my hair cut again in August to avoid having awkward in-between length hair in all of their wedding photos. Fast forward to March, and the guy I had been dating (let's call him Andy, because that's his name) decided he wanted to make me his fiancee and I accepted! A short time later, Andy and I were chatting about different things we wanted for our wedding, and I started thinking about whether I should chop my hair off again and have short hair for the occasion. I decided against it, and committed not only to Andy, but also to embracing my natural hair again (which is now much less curly than it used to be after years of daily flat iron use). The locks had been growing now since August of 2013. Woah. Since that time of my life, I had gotten weirdly sentimental about my hair. I used to love the rush of drastic change when I left the salon after a cut. But when thinking about the impending Summer Of 2015 Haircut, I would start thinking "…But…this was the same hair growing from my head when Andy proposed to me!" …I know. I was feeling something holding me back. I'll admit, when the hustle and bustle of wedding planning began, everything that had been so routine in my life started changing so fast and not all of it was in my control. The marriage and wedding part was totally change that I signed up for and was excited about, but it was also a lot at once! We were planning a wedding, and looking for a new place to live, and going through pre-marital counseling, and at the very same time, my work started becoming totally unsteady. I mention all this because usually, I LOVE routine. Routine feels safe and un-scary. I had grown up my whole life with routines, which I think is why the rush of leaving the salon exists for me at all. So I went through a big season of change, and even though I might go through the day knowing the next day was planned out for me, I still felt uncertain about something. I knew what I would be DOING, but who would I BE? Who would I be becoming in this next phase of life where I'm married and live in a new place and have a new job? I'm not sure why I had nebulous fears like this during a season that, while filled with change, was also more than filled with joy. People don't suddenly become different people when they get married or get a haircut, and routine isn't a real safety net. I think as I approached the Summer Of 2015 Haircut, I knew that my fear of change couldn't (and shouldn't) hold onto me forever. So I took the plunge and decided to give myself the experience of a small, but drastic, but also familiar, change. And man, am I SO glad I did. I no longer have constant frizz, or a bubble of heat around my head, or hair constantly in my face when I turn or lean over, or hair caught under my purse shoulder strap. Yes, experiencing change is weird for me sometimes. But when it's a change that I signed up for, that gives me something new and fun to look at in the mirror and makes showering a whole lot faster, change isn't so bad! My hope is that experiencing this little change will help fuel me with the courage to take on bigger and better changes. Ok, so what's all the fuss about? Click through below for before and after photos! Considering a hair transformation like the one I just had? Read on! I'm always interested to hear the feedback and questions from people who see my new short cut for the first time. It seems to make a quiet statement that can pull people out of their shells, surprisingly. From many women about my age, who had last seen me with super long hair, I got "YOUR HAAAAIIIIRRRR!!!" and a huge smile! This I loved! Their excitement encouraged me while I was still "breaking in" the cut. The man who cut my hair (shoutout to Phil at the Davis Square Dellaria!) asked me if I had been thinking about doing this for a long time, or if this was spontaneous. With most things, I am a huge planner, so this was definitely not a spontaneous decision. I always put a ton of thought into my haircuts, but also go into it trusting my hairdresser with their expertise. If you want to chop it all off spontaneously, just be sure that it's what YOU want (and not just your mood right now) and make sure that you can accept the outcome if it isn't 100% what you envisioned or if it's very different than what you're used to. It's not going to look exactly like that photo you picked out, and that's ok, if you're comfortable with that. Make sure you visit a salon and hairdresser you trust. Your hair thickness and texture. 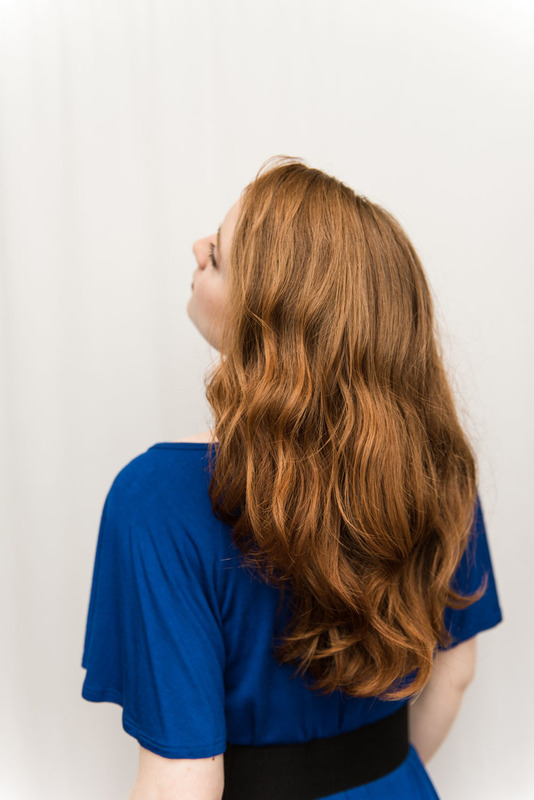 I have super thick hair that is naturally a little curly (another reason I love chopping it all off - it gets SO hot in the summer). What this means is when it gets cut shorter, sometimes certain lengths get poofier than others because it's too thick and has too much volume to lay flat. Not everyone wants their hair flat, but if you do, look into some products that will help you achieve the look you want! I prefer sleek and edgy, but it's not for everyone! I'm sure your hairdresser can give you a personal opinion on this point. Time commitment. My super long hair was SO quick in the morning (admittedly, because I was fine with a natural look and didn't want to put the time into anything else). I would just spritz with water to reset my natural curls, and run out the door (literally, because I'm not always the best at being on time). Now, with my short hair and natural curls, I know I will be putting the time in every morning to use a flat iron which can take much longer. I'm not a morning person, but I'll be getting up earlier to make the new routine work! If you haven't done a cut like this before, make sure you get all the tools you need before, or the day of, your cut! Your comfort level. Having a super short cut means you can't hide behind long locks anymore. Can ya dig it? You may blossom in your newfound freedom. Or you may feel anxious and uncomfortable with the loss of the hair you once had that helped you blend in with the majority of other women. You may not know until you take the plunge. Have you made a drastic hairstyle change like this? How did you feel about it? Have you been secretly wanting to chop it all off but feel something holding you back? Tell me in the comments! And if you have any questions about my experience, please don't hesitate to ask! PS: Wholehearted is a new series I'm starting where I get to share more of my personal life and thoughts with you all. Your feedback will be incredibly helpful as I learn what you enjoy reading and learning more about, and as I figure out what frequency works for these posts! Stay tuned for more! Boston based wedding and portrait photographer for the openhearted, helping them to embrace the truth of who they are, live from their values, and remember what, and who, is most important in their lives. I photograph weddings and portraits in Boston, to New England, and beyond. I'm Lorna, a Boston based wedding and portrait photographer, and I'm so glad you're here!